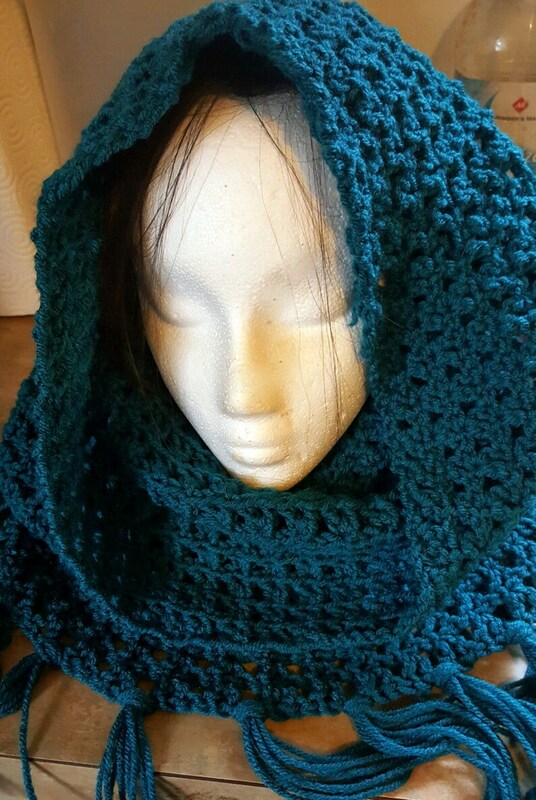 This beautiful crochet cowl and head covering combo is perfect for not only keeping your neck warm, but your head will be snug and cozy as well. You have two options to wear it. You can use it solely as a long, bunched up cowl, or pull it up to cover your head as well! It is crochet with a lovely teal green yarn. It features beautiful long fringe at the bottom.